How does a massage sound? How about a trip to a very special place? These are two ideas that can invigorate your life, and energize your spirit. At times life may appear really boring to follow the day in and day out old routines of life. Finding a new friend or relationship breathes new vigor, excitement, and you will literally have a spring in your step for the weeks directly after the start of this new LifeSong relationship. Instead of getting up and heading straight to work in the morning, change it up a bit with something different. Head out for a walk listening to the morning sounds, or bake something that you will think about all day long that you will enjoy upon your return home from a strenuous day at the office. Regular exercises are extremely important because it invigorates your body holistically. It freshens up your mind, body and spirit. 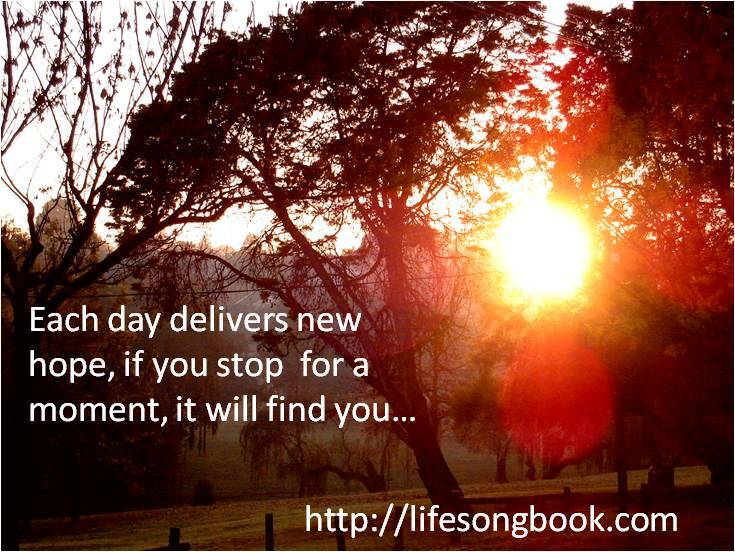 Live your life for the moment, and enjoy your immediate surroundings. Try to identify a unique characteristic in every person you encounter, and soon your life will become invigorated, interesting, and most of all outgoing. Enjoy daily family time, and watch your children or grandkids grow right before your eyes just like the spring flowers. Be invigorated with the simple things because when the big things appear you will cherish them forever.